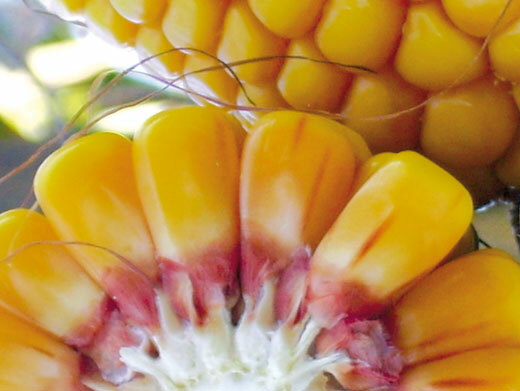 Evaluating corn hybrids in different soil and climate conditions in Italy, with different agronomic growing techniques and based on intended use (grain, wet feed, silage), is essential to make sure each hybrid has the right positioning. This is why S.I.S. has set up an extensive network for all-round testing, comparing the hybrids most widely sold on the Italian market with new hybrids. Strip testing evaluates the following aspects: early vigour, stay-green, field resistance, yield, harvesting moisture content, grain quality and health, hybrid use (grain, wet feed, silage). Test results confirm the excellent yield response, excellent adaptability and field resistance of S.I.S. All seed development takes place in Italy under the direct control of SIS personnel. Electrophoresis and counter-season field tests verify genetic purity and the absence of pollution. PCR Real Time verifies the absence of OGMs in the parental lines used and in the hybrid obtained. Specialised personnel test for specific purity, germinability and germination energy in the laboratory, with both warm and cold testing. Sampling and analyses are conducted during different stages of processing. Official analyses are carried out for each lot, with official ENSE sampling. The entire seed, except for organic seeds, is treated with suitable products to make sure it is not attacked by fungal pathogens that may affect seed emergence or plant development. Special attention is paid to the product used, which must guarantee broad-ranging action to best protect all initials stages of the growth cycle and also ensure greater ease of use and the reduced exposure of workers. The product industrial application stage is also extremely important, and must guarantee safe doses and the utmost ease of use. Lastly, to offer operators even greater protection, SIS has been using a film-forming agent in dressing for many years that allows for better adhesion of the active ingredient and limits the effect of dust which is harmful to operators and the environment. Corn silage is the basic forage for modern Italian animal husbandry. It is obtained from the whole corn plant, harvested with 33-35% of dry matter; plant chopped short at 0.6-1 cm, quickly siloed and compressed. Silage is mainly estimated based on the following parameters: - energy value / Ha derived from the amount of dry matter produced per hectare (hundred kilos of dry matter/Ha) - energy concentration of the dry matter (U.F./Kg of dry matter); - health and storage conditions; - digestibility of the substances comprising the corn (starch, sugars and proteins, etc.). Over the years, SIS has selected a wide range of corn for first, second and third sowing whole silage. This is obtained during spring sowing with hybrids with a good stay-green, large leaf development and considerable number of grains. These hybrids are able to produce considerable volumes of dry matter per hectare (18,500-23,000 kilos of dry matter/Ha) with a high energy concentration (0.82- 0.90 UF/Kg of dry matter). The silage obtained in this way is suitable for feed for high pedigree dairy cattle and beef cattle with a rapid daily weight increase. This is obtained from sowing after grass and meadow sowing. This type is obtained using medium or medium-early cycle hybrids. These hybrids, with a growing cycle and excellent size ears, can provide the right volume of dry matter with a moisture content on harvesting and a balanced protein, ADF, NDF ratio. This is obtained sowing corn after late meadows, barley and wheat. The most suitable hybrids have a rapid accumulation period and excellent ear-plant ratio, ensuring good volumes of healthy, silage, with good energy values, even with late harvesting. This is animal feed from the entire ear of corn or only the grain, harvested with a 32-33% moisture content, adequately milled and stored in airproof silos. The animal feed value of corn mash is defined by several parameters including: - a high energy concentration of dry matter (1.2-1.4 UF/Kg of dry matter) - digestibility of substances comprising the mash. - a milk/meat conversion ratio which is higher than siloed corn. - a storage loss of around 4%, compared to 10% for siloed corn. - health conditions of the grain. - easy distribution.